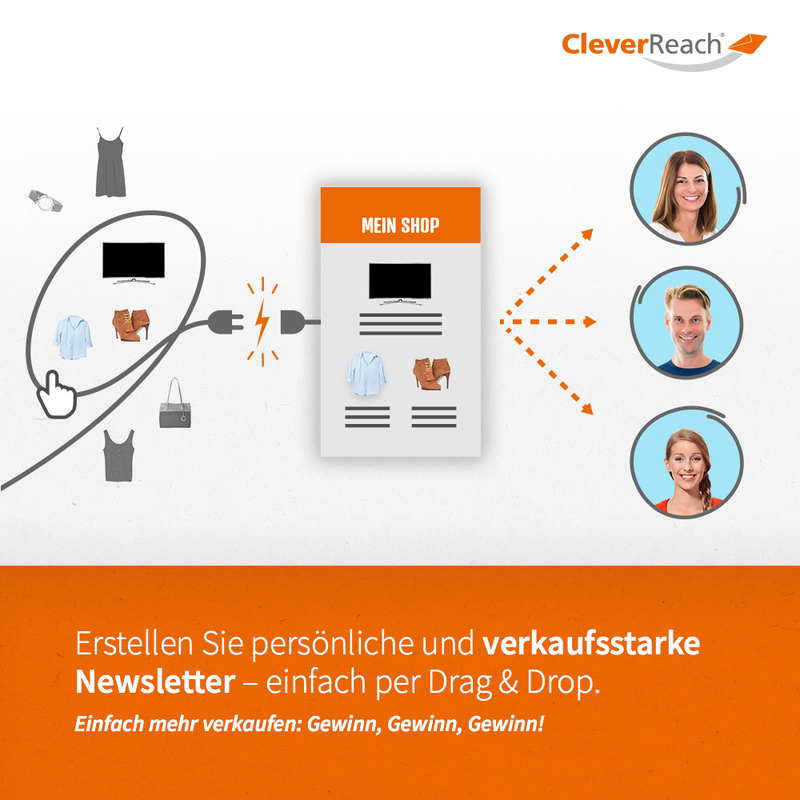 OXID eXchange | CleverReach® - Newsletter-Marketing for OXID 1.1.0 | Stable | PE | 4.0.x - 6.1.x | Module, Themes, Language Packs direkt herunterladen! 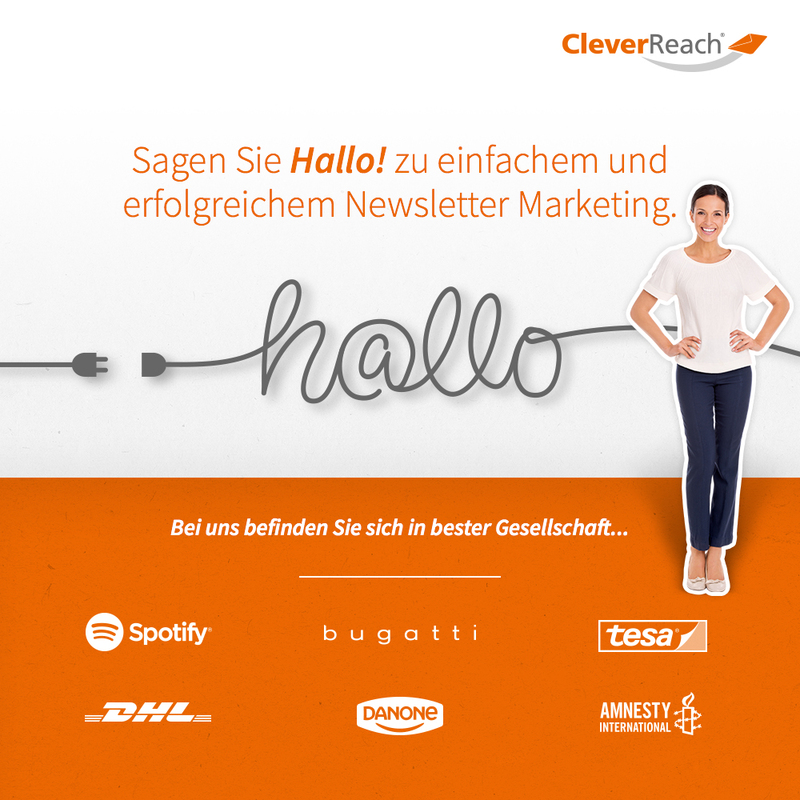 Spotify, Levi’s, DHL and BMW create and send their newsletters with CleverReach®. Why? Because it’s simply clever and offers all features for professional newsletter marketing. 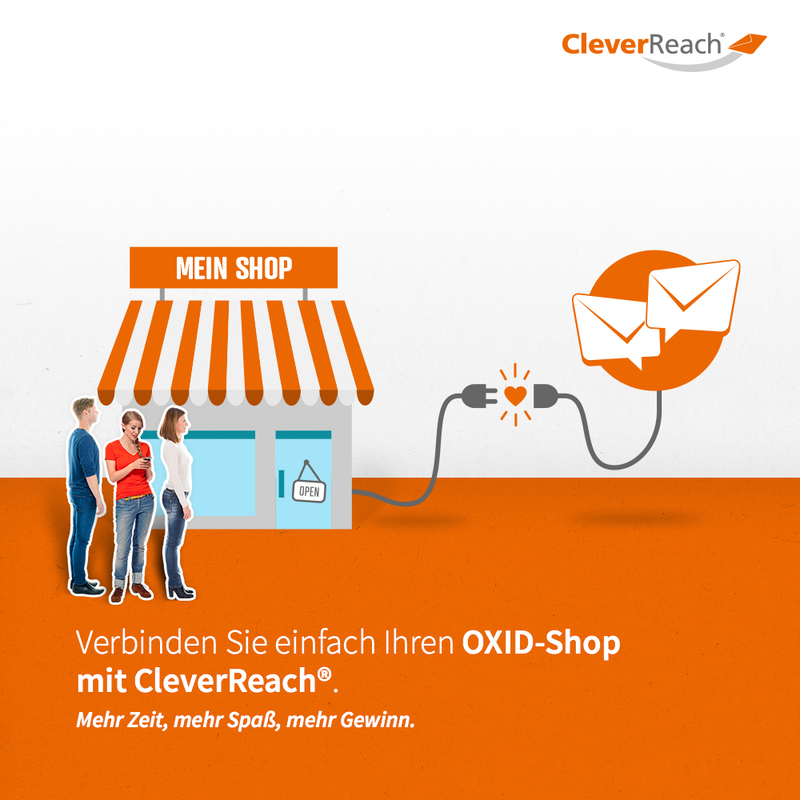 The extension directly connects CleverReach® with your OXID shop. All your OXID data is constantly and automatically updated in the CleverReach® email marketing tool. Choose between our flat rate or High Volume pricing model. For your smaller projects, we offer a prepaid solution. You can change your price plan at any time. Use your valuable data to create personal offers your customers really want. Benefit from more opens, clicks and conversions! This is your key to more revenue: Your customers buy more and more often. Many more features: newsletter templates for every occasion, Template Converter, Spam tests, image processing, RSS feeds, Import options, Segmentation of recipient lists, Tagging, Double-Opt-In registration forms, automatic unsubscribe management, Blacklist Check, sending personalized newsletters, Social Media Integration, open rates, click rates, unsubscribe rates, multi-level bounce management, Google Analytics Integration, Conversion Tracking, Email Marketing Automation, Integration of Online shop elements, Whitelisting, CSA, Certified Senders Alliance, Design tests, Newsletter Client Testing, SPF, Email Authentication, SSL encoding and much more! 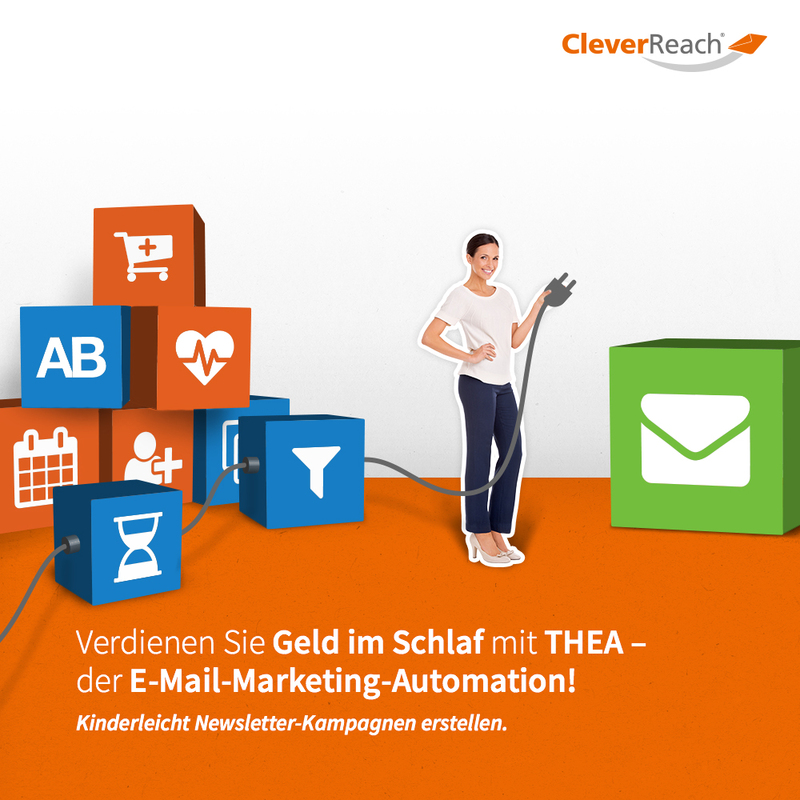 CleverReach® was founded in 2007 and is one of the leading providers for email marketing, with more than 210,000 customers in 152 countries. A big plus of the German company based in Rastede, apart from the user-friendly menu navigation of the software, is the competent customer service and the very fair price-performance ratio. 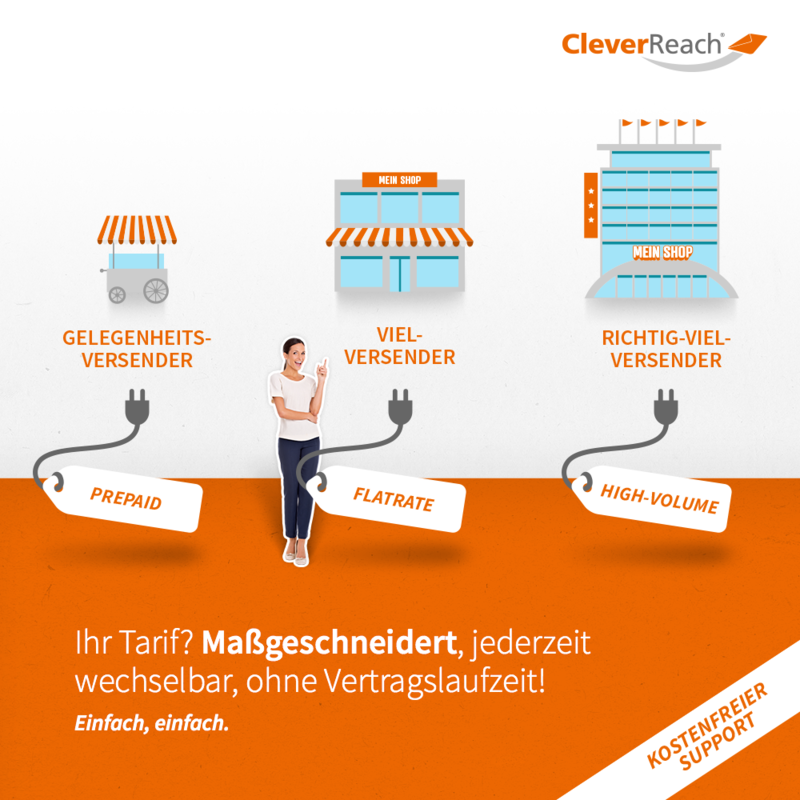 CleverReach® also meets the highest data protection standards, exceeding legal requirements. Start your email marketing now!